With temperatures predicted to climb into the 50s, I'll be leading a nature and culture walk through Herrontown Woods this Sunday, Nov. 30, at 2pm. 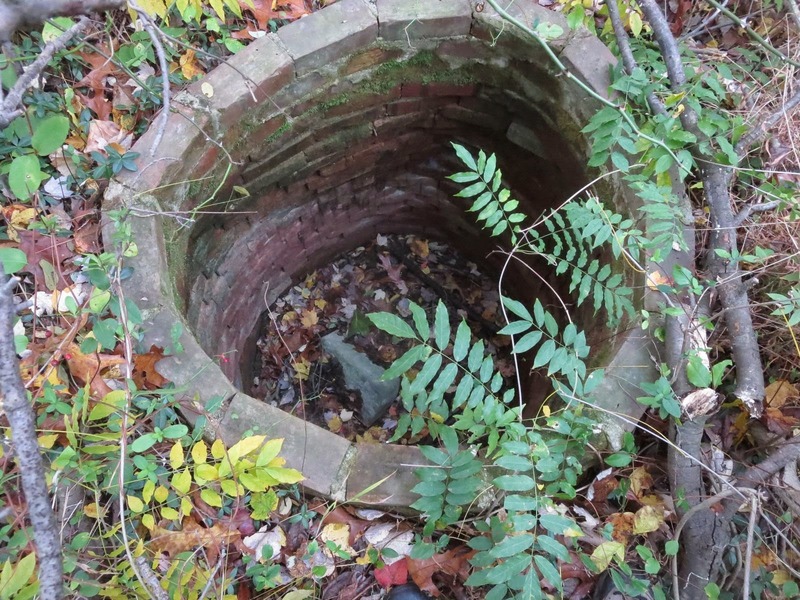 We'll be exploring the remarkable features of Princeton's first nature preserve, including a hidden cliff, a boulder field, quarried stone, the traces of an 1870 microfarm, and a mysterious large excavation that may have been intended as a swimming pool. The event is the first since the Friends of Herrontown Woods (FOHW) received official nonprofit status. Members of the group have made critical interventions at Herrontown Woods and Autumn Hill Reservation over the past two years, clearing and improving long-blocked trails, and taking steps to save and repurpose the buildings left behind by the visionary mathematician Oswald Veblen and his wife Elizabeth, who began Princeton's open space movement by donating Herrontown Woods as a public preserve in 1957. Meet at the parking lot for Herrontown Woods, the entrance to which is across from Smoyer Park, near the eastern end of Snowden Lane. For any questions, check the "About Me" info up on the right of this webpage for contact info. During a recent Rotary Club workday at Veblen House, we found a use for these heavy wooden wheels that had been stored in a volunteer's carport for many years, awaiting a second life. So much of reuse has to do with creative matchmaking. There are six wells on the Veblen property of varying vintage. Some were for tapping into the groundwater that rises and falls from two feet down to ten, depending on rainfall and the season. Others appear to have served some drainage function, and one of them lacked a cover. 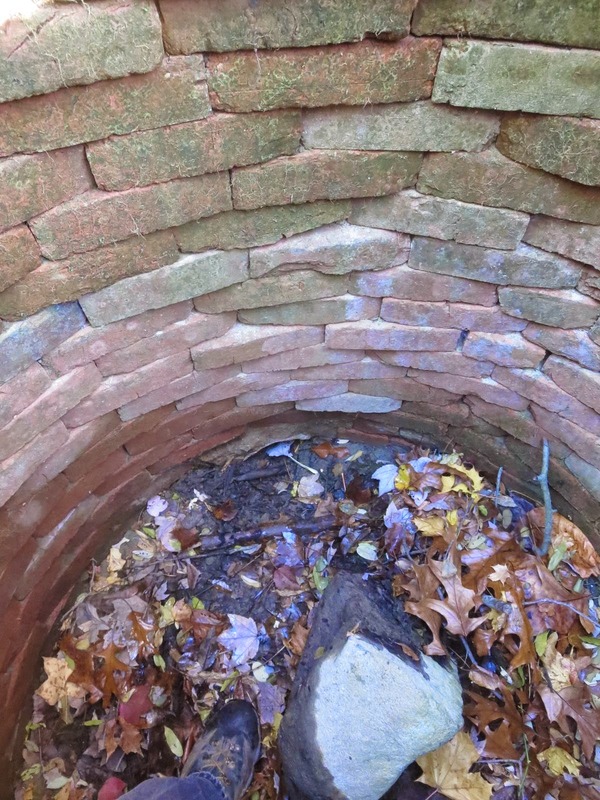 This brick-lined well is five feet deep, and judging from the bones in the bottom had trapped a deer at some point. 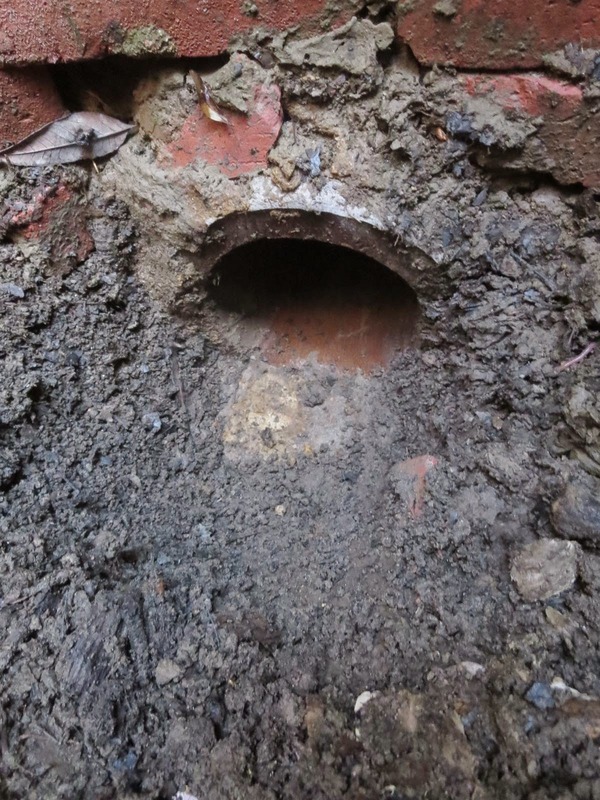 The original use is still in question, but close inspection revealed two openings at the bottom, where six inch pipes provide entrance and exit for water coming from the direction of the house. The heavy covers, like the good roof on the Veblen House, will help this well hold its secrets until there's time for further study and reutilization. While I covered the well, Ahmed, John P., and Len tangled with some massive multiflora roses in the field next to the house. Whenever we head off trail along the Princeton ridge in northeastern Princeton, we find something interesting. It might be a great-horned owl keeping an eye on us from high in a tree, or an old well and foundation dating back to the 19th century in Autumn Hill Reservation, or a cliff with a great view of the boulder-strewn landscape. 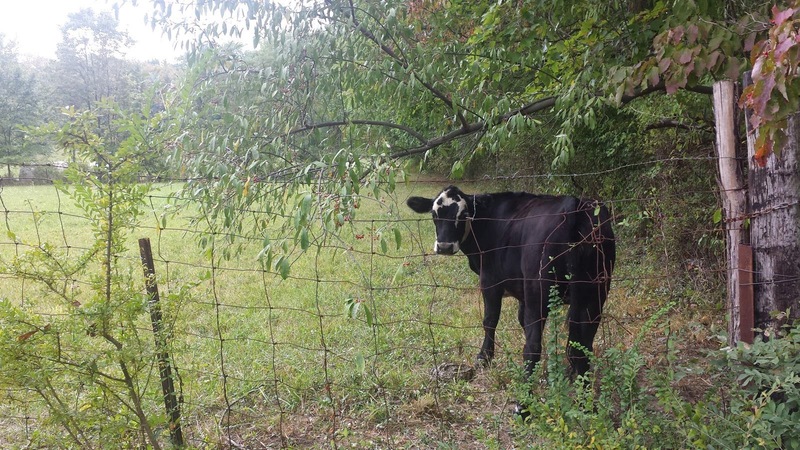 Yesterday, on 11.11, we had just finished showing the Veblen site to our neighbors, the Princeton Learning Cooperative, when Kurt told us he had found something interesting in the woods a few days back. That's Kurt as in Kurt Tazelaar, who with Sally Curtis cleared the trails of Herrontown Woods and Autumn Hill Reservation. The late afternoon still held some light, so Jon Johnson, Kurt and I headed over to Stone Hill Church, entered Herrontown Woods along their new access trail, and took the blue trail a short distance before Kurt started heading off-trail through the woods. In most Princeton woodlands, off-trail hiking is made impossible by dense growths of invasive shrubs, but in this section of Herrontown Woods in fall, the woodland is an enticing and imminently hikeable mix of boulders and fallen branches, all doused with a fresh coating of autumn leaves. A couple hundred feet in, Kurt showed us his find--a large rock wall and a streambed that was surprisingly broad and well defined for being in this flat top-of-the-ridge woodland that, like a giant sponge, catches rainwater and feeds it slowly into the rocky stream that runs down the hillside through more traveled sections of the park. New vistas are opening up in the woods as the leaves continue to fall, and I noticed in the distance what looked like a hillock in the otherwise flat landscape. My first, highly romantic thought was of Indian burial mounds. Climbing to the top, though, I noticed a pond just beyond it, with noticeably straight sides, extending 100 feet in one direction, 50 in another. The pond is in the shape of an "L", and the location of the mounds made clear that a bulldozer had spent a day or two scraping dirt out and pushing it up onto the mounds. Here, I'm standing on the smaller mound, with dusk approaching, looking down at the short portion of the "L", from which the elevated soil beneath my feet came. I suddenly realized that this must be the swimming pool that someone had told me about years back. There had been mention of a bulldozer, and a less than successful attempt to create a swimming pool, but by now I've forgotten who had told that story. Maybe Bob Wells, who rented the Veblen House from 1975 to 1998. Or maybe Joe Schmeltz, the former Mercer County naturalist. We couldn't tell if the steady dimpling of the water's surface was a sign of aquatic life or methane gas rising from the organic matter that has accumulated over the intervening decades. On a future visit, we'll test the original depth with waders and a stick. Trees growing on the mounds or old aerial photos may reveal when the bulldozer made this memorable imprint. Why would anyone attempt to dig a swimming pool at one of the highest points in Princeton? We tend to think water accumulates in valleys, not along ridges, yet oftentimes, the headwaters of streams are a high, flat expanse where rainwater accumulates with no clear outlet. Much of this high ground in Herrontown Woods is wet for most of the year, with groundwater close to the surface and trails passable only in late summer and fall. Rivulets slowly feed water from this area into the tributary of Harry's Brook that is such a lovely feature of the lower elevations of Herrontown Woods, closer to the parking lot. A stream is perennial or intermittent depending on whether it has a spongy headwaters area like this to keep it flowing even through dry spells. Because the water table remains high through much of the year, it obviously occurred to someone to try to make a naturally fed swimming pool here. How refreshing it must have been to take a dip in its cool waters on a hot summer's day, that is, if the swimming pool ever actually functioned as such. One interesting note about the sequence of events that led to rediscovering this relic from an earlier era in Princeton's history. When Stone Hill Church volunteers were building their access trail, I may have mentioned the idea of lining it with branches to better define its path. The kids helping out enthusiastically set about finding branches to line the trail. Kurt saw the result and then adopted this approach on Herrontown Woods' blue trail, which is otherwise easy to lose track of, and in the process of searching for branches, he came upon the large rock wall. Showing that to us in turn led to looking farther into the forest and noticing the mounds. Sometimes it takes a village to rediscover a piece of the village history. Note: Another of Princeton's nature preserves, Mountain Lakes, also once had a swimming pool in the small valley just past Mountain Lakes House, but it was Olympic-sized, 13 feet deep, and once used by the high school swim team for practice. Around 2001, when the old bathhouse was torn down, the swimming pool was filled in, leaving a grassy expanse. Coming along years later, I turned the lawn into a meadow, and used to dig up shards of ornamental tile while planting native wildflowers. Drive east on Herrontown Road, and as you emerge from the forest of Herrontown Woods and Autumn Hill Reservation, a rural landscape opens up--land connected to one of the great historical Princeton families. 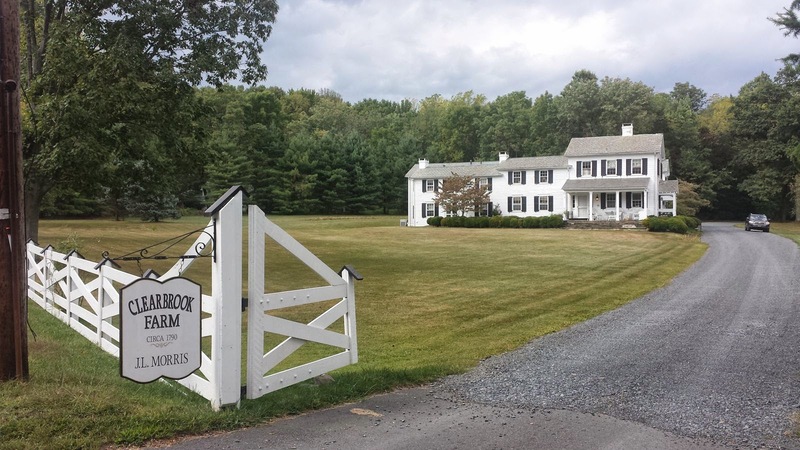 The farmland was owned until 1961 by Agnes Griswold Pyne, daughter-in-law of Moses Taylor Pyne, Sr., who called Drumthwacket home and had a profound influence on Princeton University. Agnes was married to Moses Taylor Pyne, Jr., and lived at Drumthwacket, but in the summer she'd live out in the Herrontown neighborhood, in this lovely home that still bears the name Clearbrook Farm. 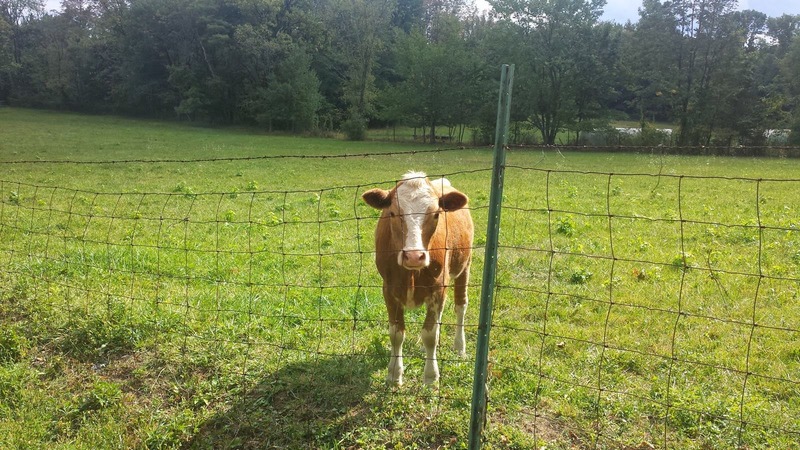 Our newly formed nonprofit, the Friends of Herrontown Woods, is working with local entities in an effort to preserve this farm and potentially engage youth in its care. The Pyne's horse barn remains in excellent condition, albeit without the horses the Pynes used to ride. In the Pynes and Veblens we have two of the most influential Princeton University families of the early 1900s living side by side. Add in the characters of Jac Weller and the first owners of the Veblen House--the Whiton-Stuarts--and the periodic visits by Veblen's colleague Einstein, and we get a landscape with a rich and colorful past.